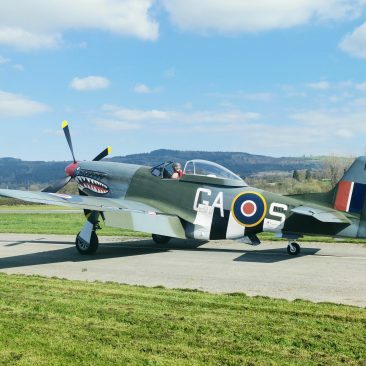 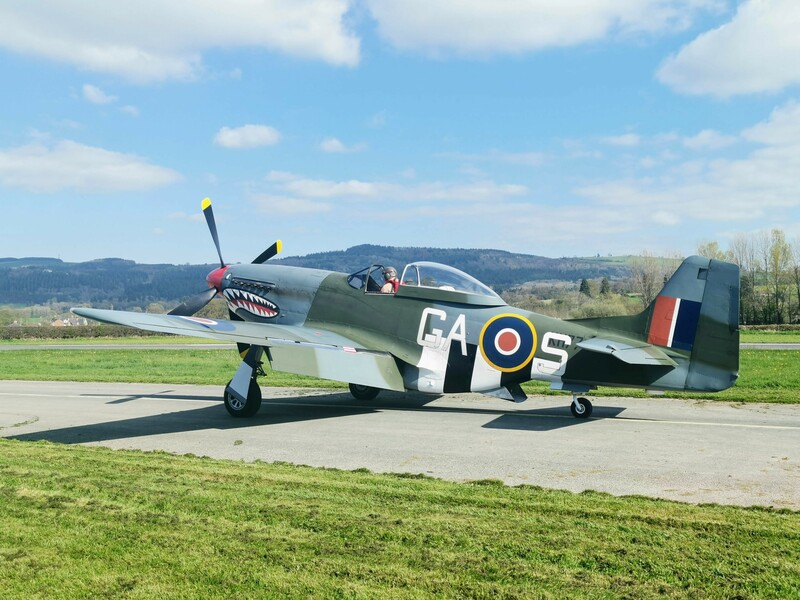 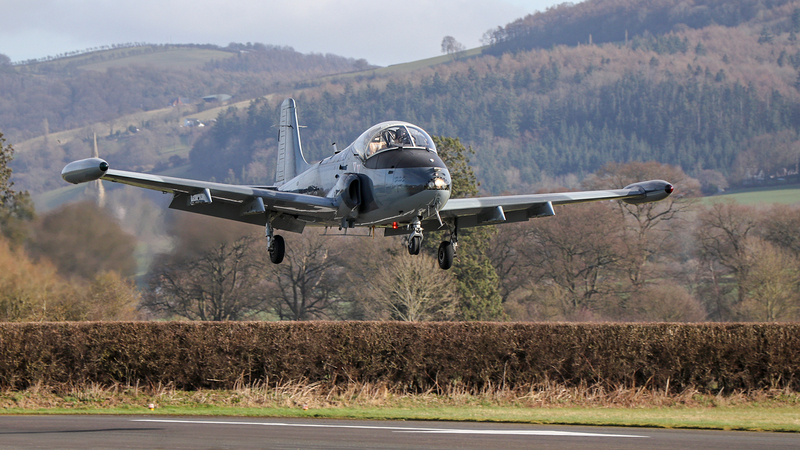 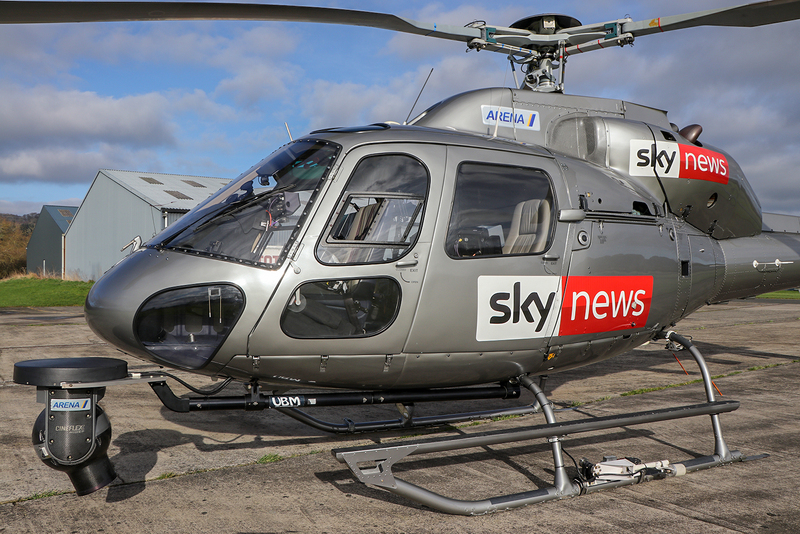 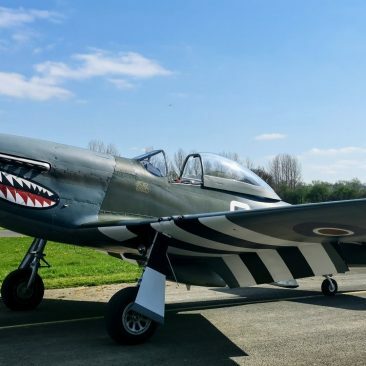 Last month we had a rather special visitor from Hawarden to do some filming for Sky News. 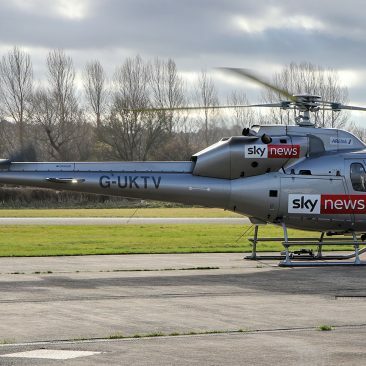 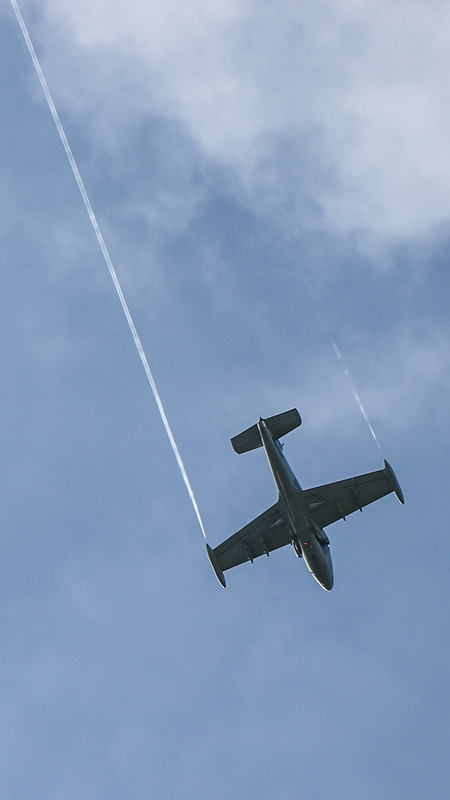 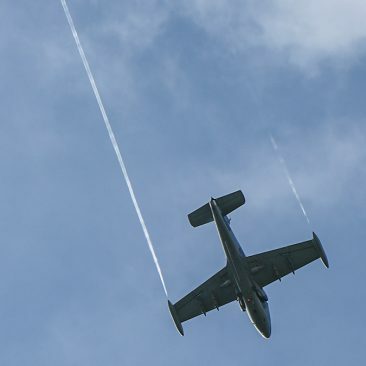 The Jet Provost (Strikemaster) from Hawarden performed some aerobatics for Sky News to get some footage with their helicopter G-UKTV. 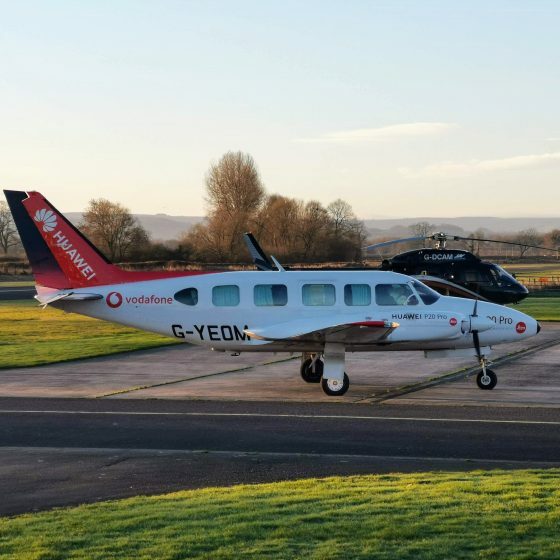 Situated in the our picturesque valley with no restricted airspace and only 10mins from Hawarden, Welshpool was the perfect location for the shoot. 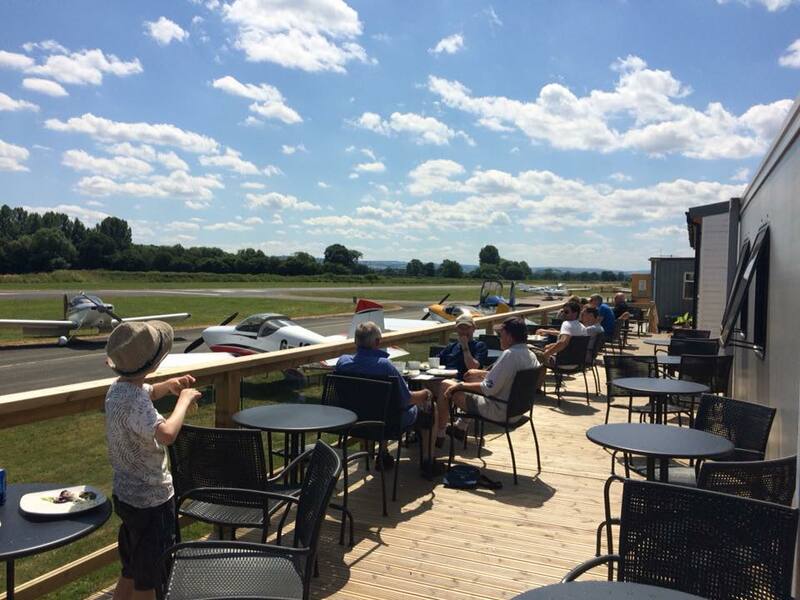 Fantastic Viewing Areas (Indoor & Outdoor), Proper Coffee & Great Food! 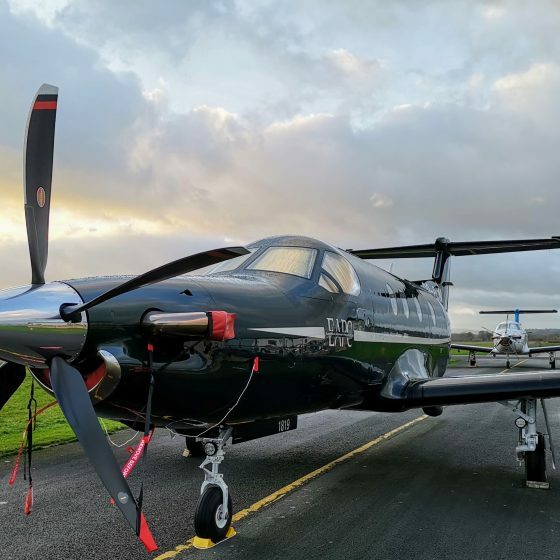 Bringing our Pilatus PC-12 tally up to 5 this season we welcomed these two aircraft on Thursday evening from Belgium. 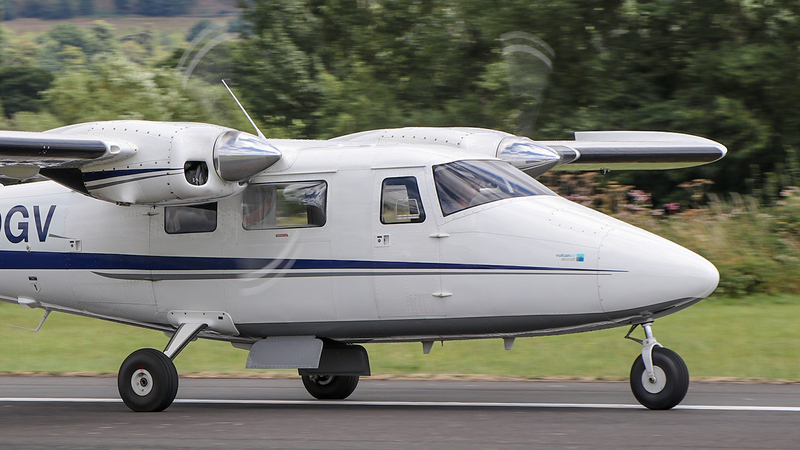 These 10 seater luxury aircraft are operated by European Aircraft Private Club and are 2 of 5 PC12’s in their fleet. 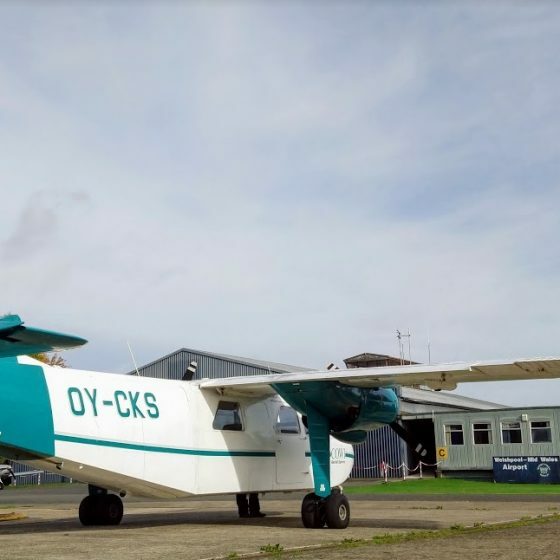 Its a first to have 2 arriving at the same time, and but still have plenty of space on the apron, so maybe we can get 3 in next year? 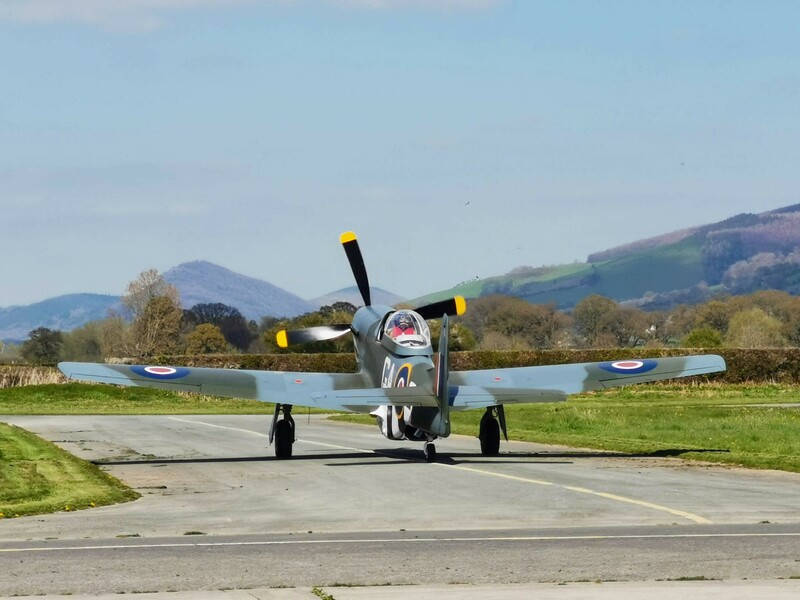 The pair are scheduled to depart Welshpool around 1700 this evening. 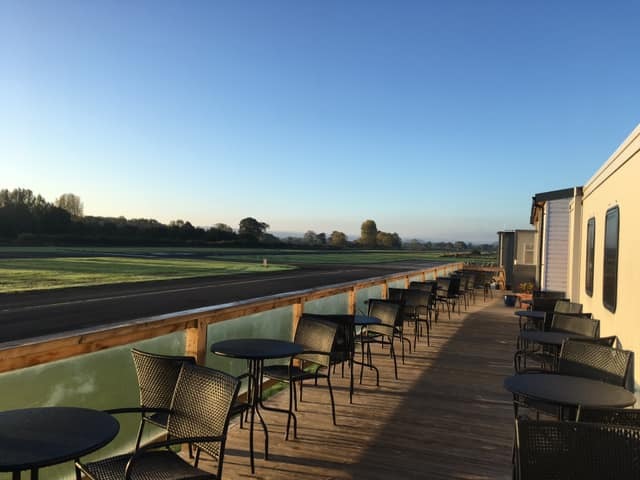 It’s that time of year again and the shoot season has begun, this season brings many shooting parties from London & further a field in Europe. 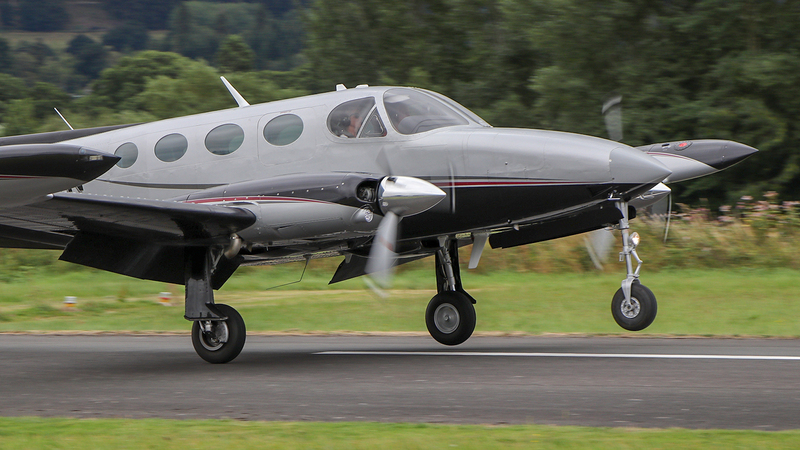 Not the first, but one of the earlier visitors was a Pilatus PC-12 M-JJTL from Denham earlier this week. 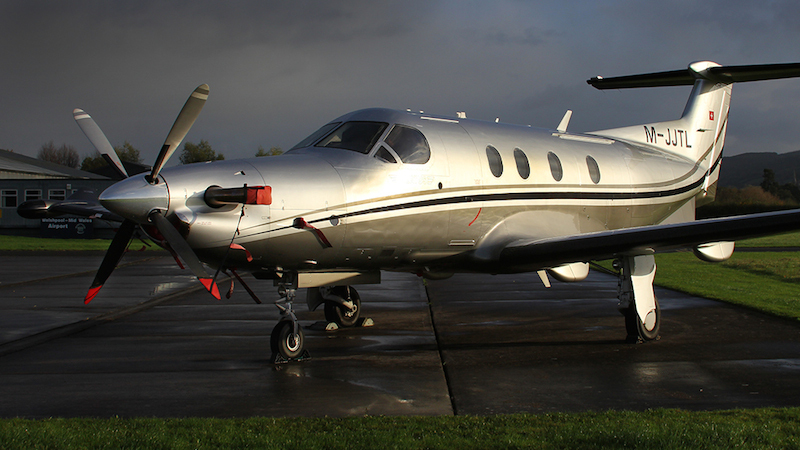 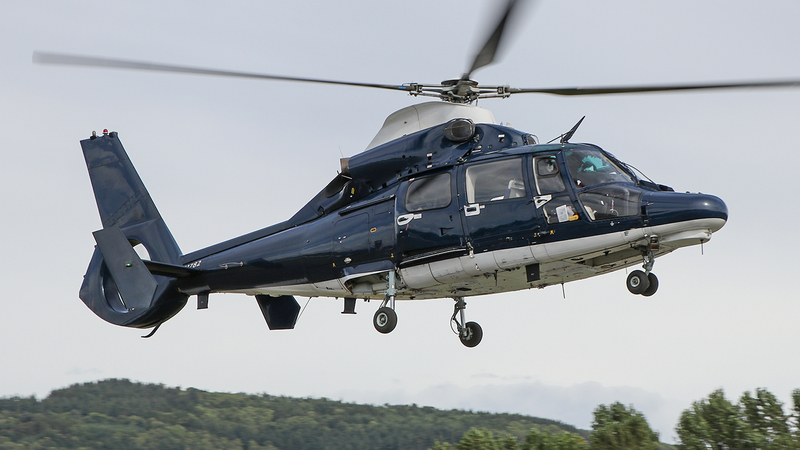 You can see that this large aircraft operates with ease from our 1020m tarmac strip. 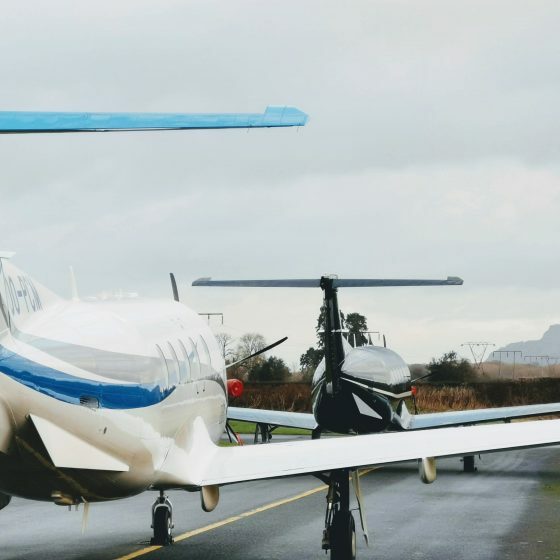 We are able to offer an out of hours service and with full runway edge & APAPI lighting it makes us a very useful airfield for this type of traffic. 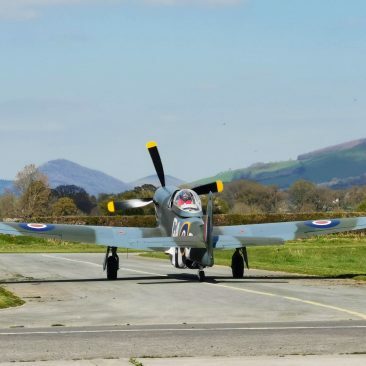 We look forward to welcoming much more of this traffic over the next few months. 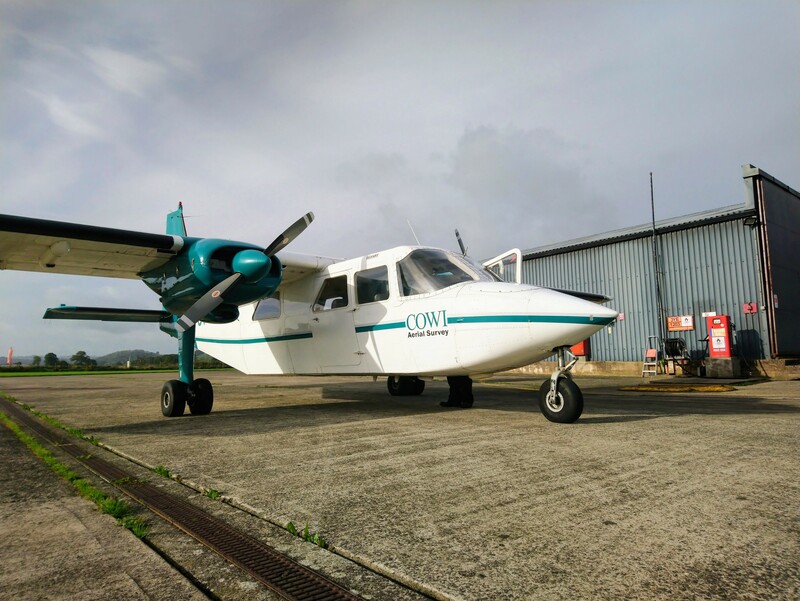 A Danish registered Twin Islander paid us a visit earlier this week to take advantage of our fueling facilities. 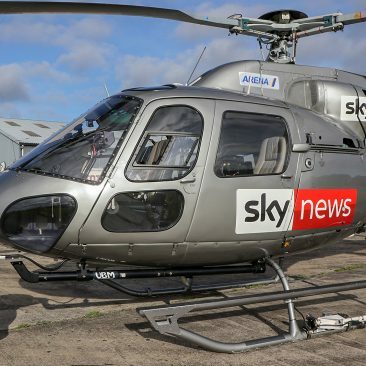 It has been chartered for some aerial survey work in the area, and may be back later in the week. 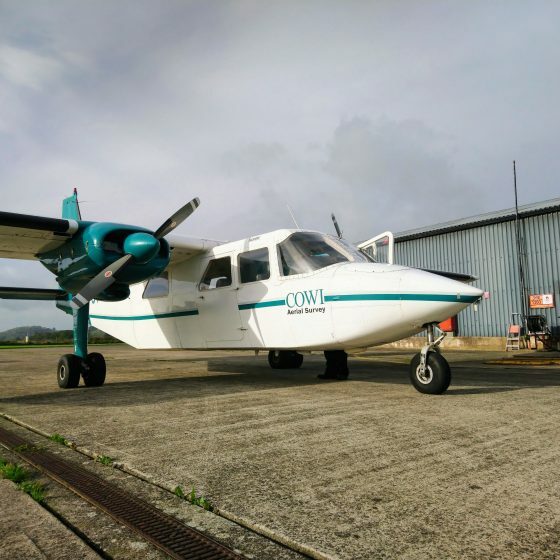 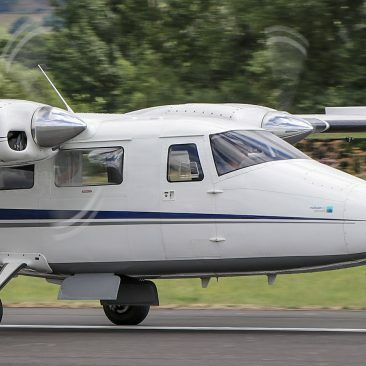 The twin islander a highly capable aircraft that can stay in the air for up to 7 hours at a time and operate out of short strips making it an ideal utility aircraft. 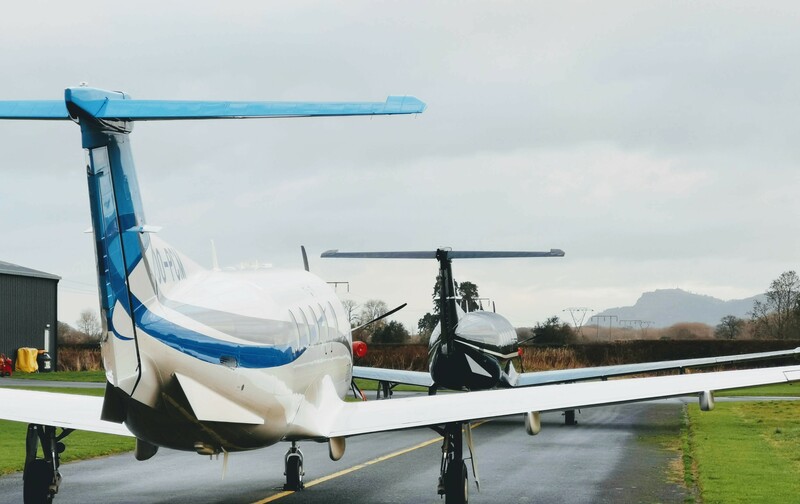 AVGAS 100LL & JET A1 fuel is available from 9 – 5pm everyday of the week and out of hours by request. 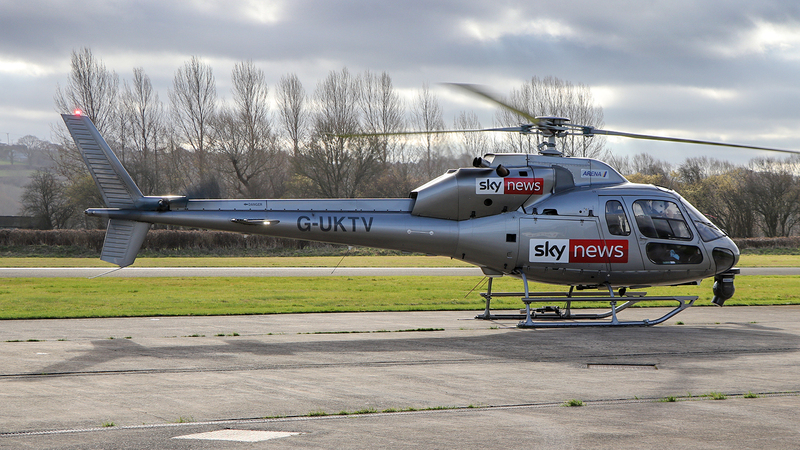 Another rather interesting visitor to the airfield on a training sortie. 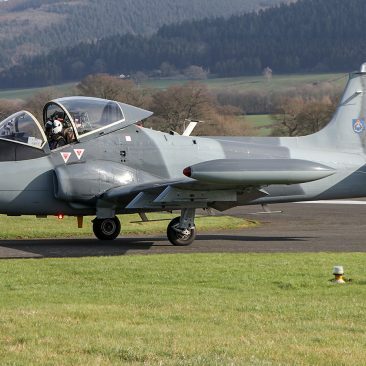 658 Squadron Army Air Corps, AS365N3 Dauphine 2, in support of the 22ND Special Air Service (22 SAS). 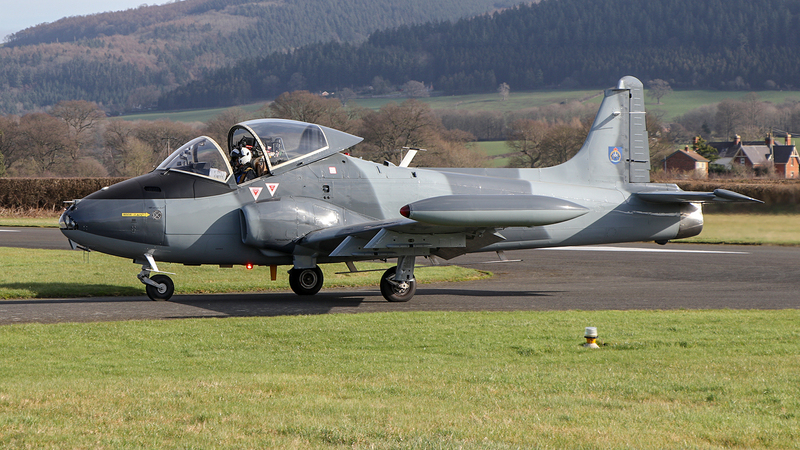 The visit of Vulcan air P68TC was a first ever visit of this type at Welshpool. 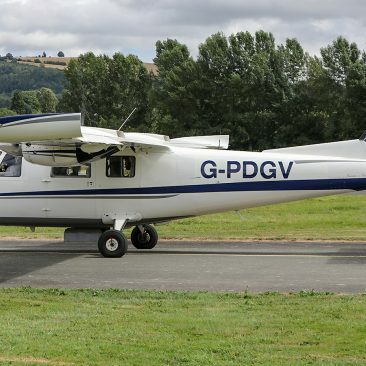 Although we have had various survey aircraft in over the years we can’t remember seeing a Vulcan air P68TC. 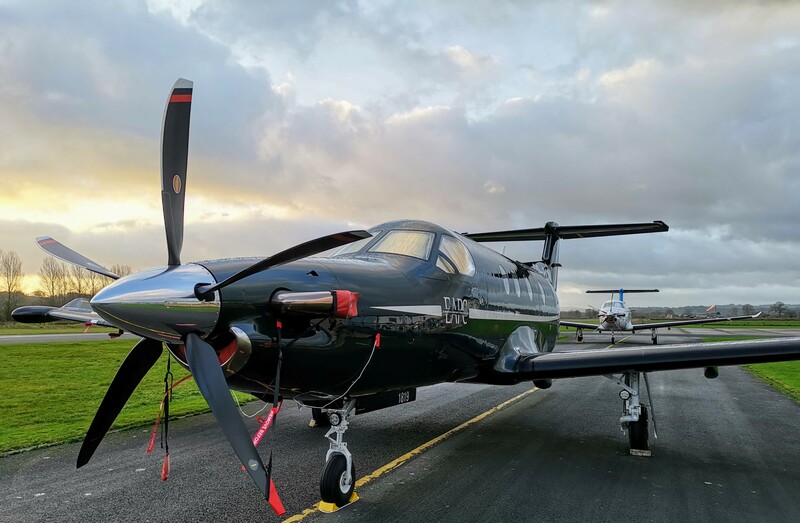 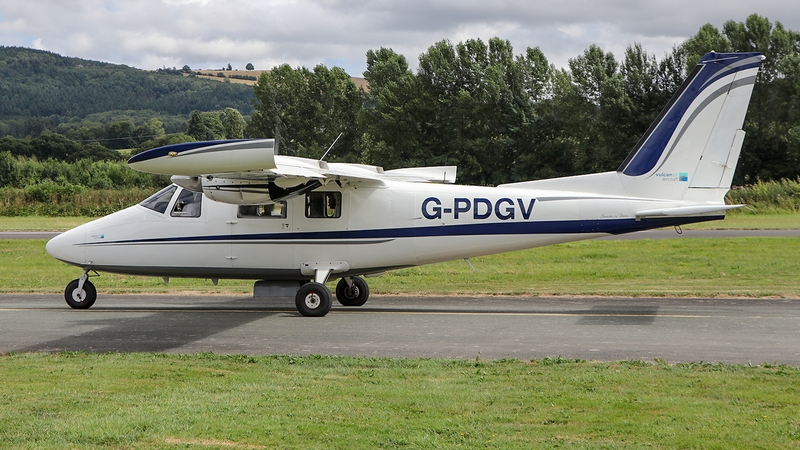 A fairly recent addition for the PDG fleet, the aircraft was here for a few days to before departing for a lot of survey work in Southern England. 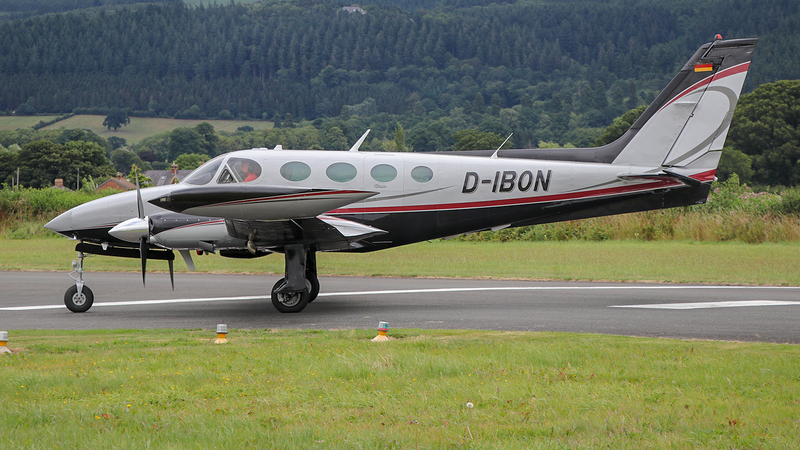 Cessna 340A just arriving from Cherbourg on a business trip, with a German reg of D-IBON. 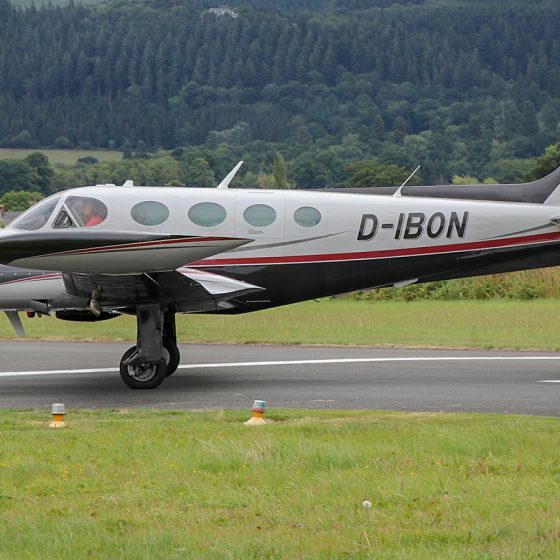 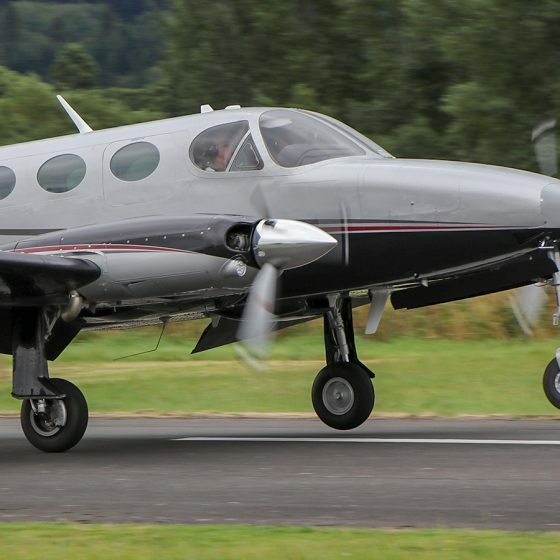 The 340A is a 6 seat Pressurized twin and sleek lines makes it a very desirable aircraft to fly across the European sky’s. 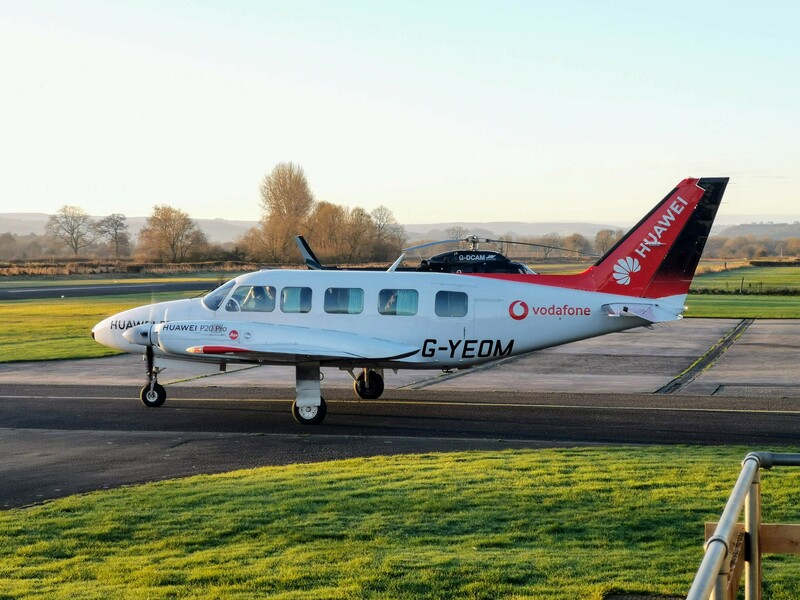 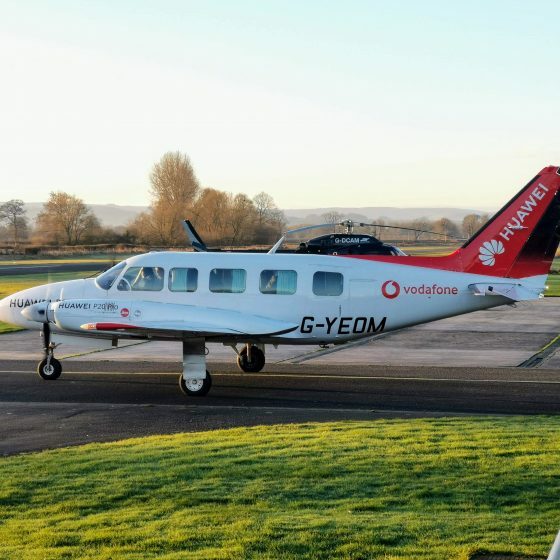 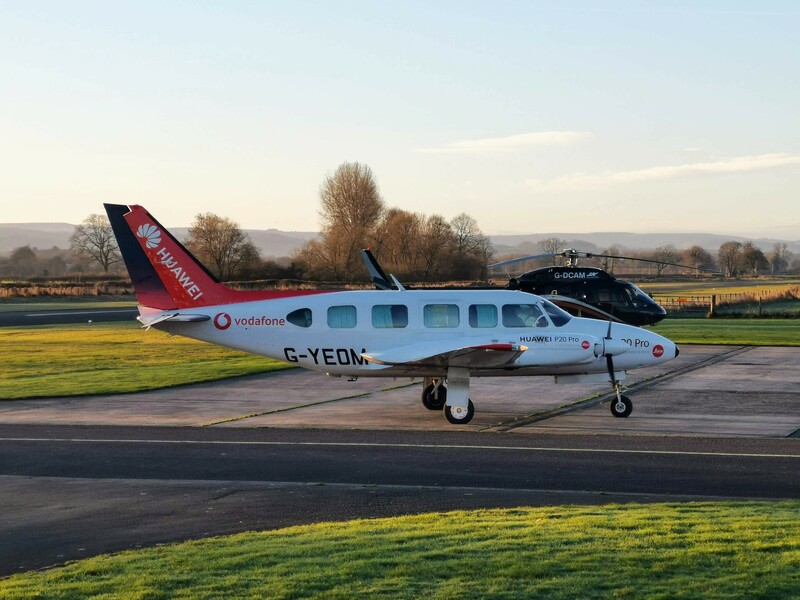 With having customs along with 1020m hard runway,fuel facilities and parking Welshpool Airport makes an attractive option for overseas visitors.